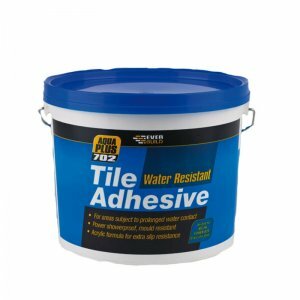 Everbuild 703 Fix and Grout Tile Adhesive is a ready mixed brilliant white water resistant wall tile adhesive which is also suitable for grouting. 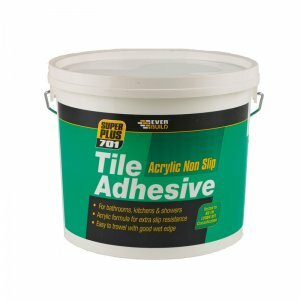 Everbuild 703 can be used on kitchen/bathroom walls and shower areas when used in conjunction with Everbuild Powdered Wall Tile Grout. 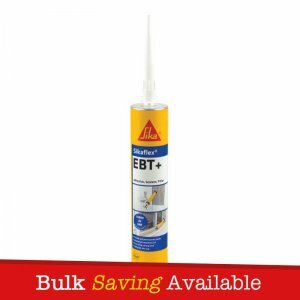 Everbuild 703 has an extremely high bond strength – Over double the B.S. minimum requirement in wet shear (7 days drying, 7 days water immersion followed by shearing whilst wet). 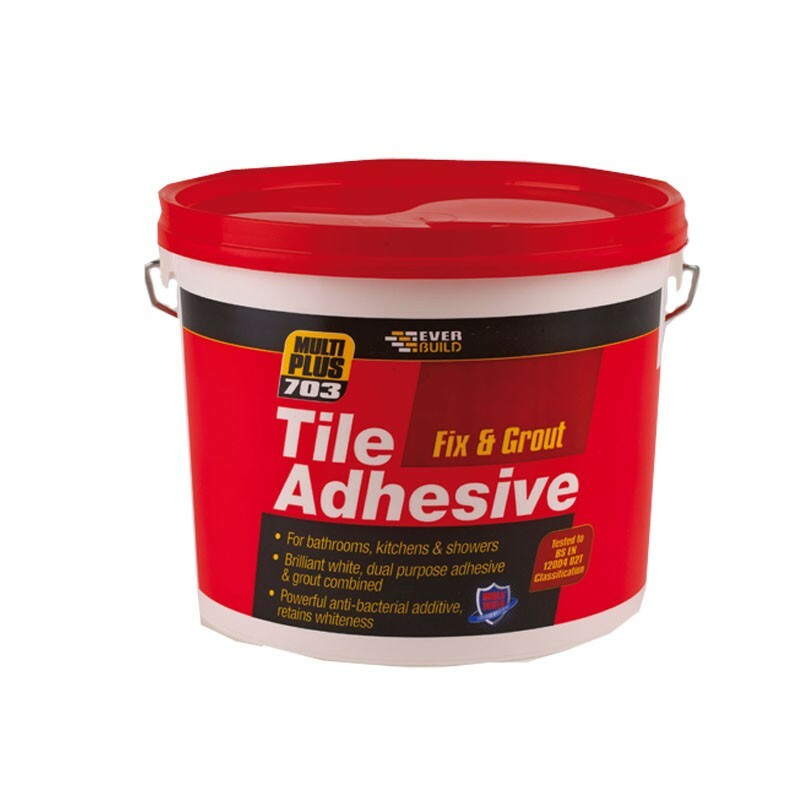 – Shower areas when used in conjunction with Everbuild Powdered Wall Tile Grout. – Communal and power showers. 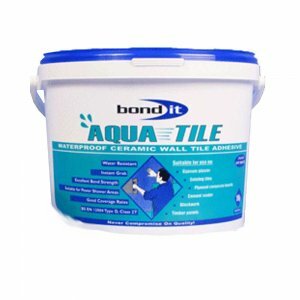 – Work tops subject to water contact. – Extremely high bond strength – Over double the B.S. minimum requirement in wet shear (7 days drying, 7 days water immersion followed by shearing whilst wet). – Ready mixed formula – No mixing, no mess. Apply straight from the tub. 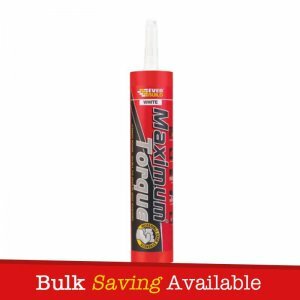 – Easier to apply than most competitive adhesives. 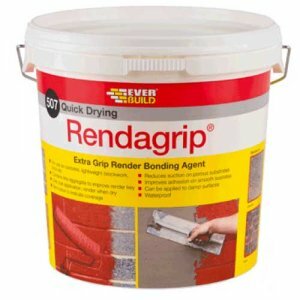 – Contains a fungicide – Prevents mould growth. – Compressible – Allows for slight thermal movement.